The Boys and Girls Club of Sonoma Valley has supported children for over 50 years here in the Sonoma Valley. Offering a range of services, the organization provides a place where youth can grow and play safely. The nonprofit helps 2000 children and teens every year with activities such as cooking and sports. The Boys and Girls Club also offers a variety of programs for teens, including college preparation opportunities. The organization focuses on developing relationships with peers and responsible adults alike as well as instilling goals of academic success, health lifestyles, and good character & leadership in their youth. 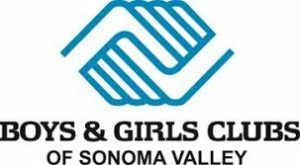 For more information on The Boys and Girls Club of Sonoma Valley, please visit their website.